Plug in multiple microphones, music sources, while being able to easily control each input with this 6 channel mixer. 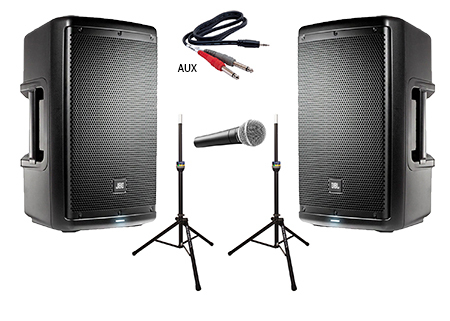 These speakers are twice the size of the basic package and are great for bands and dances. So easy you could set it up yourself! Also included is a subwoofer to help bring full range sound for bands and dances. This will greatly energize your guests at a dance. 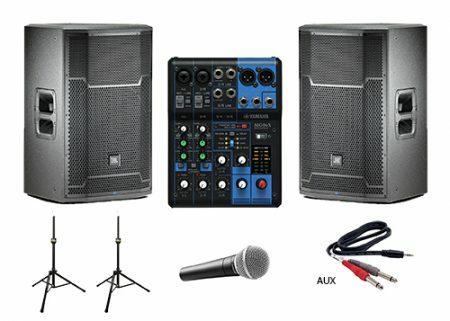 This is an all inclusive wedding audio equipment rental package for saving on the budget! In addition to the perks of the Standard Sub Package, this package brings flexibility with a wireless mic and lights to energize guests on the dance floor. Plug your phone / laptop into this system and use a wired mic for smaller settings. Great for meetings, weddings, background music and more. 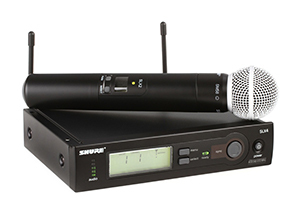 These microphones are from the industry leading company Shure and will give you up to 300 ft of clear wireless range. 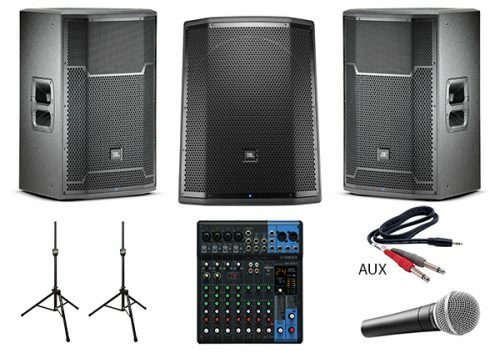 Browse through our simple and affordable wedding audio equipment rental packages for your wedding. 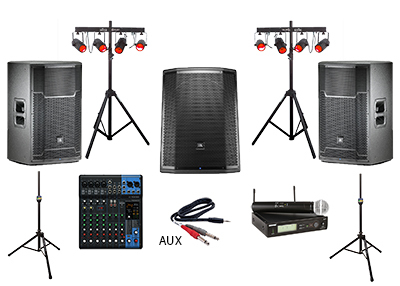 At Audio Rent KC, we specialize in making your wedding day run smoothly thanks to our high-quality audio equipment. We offer everything from wireless microphones to an incredible sounding package of JBL speakers, subwoofer, lights, and more! 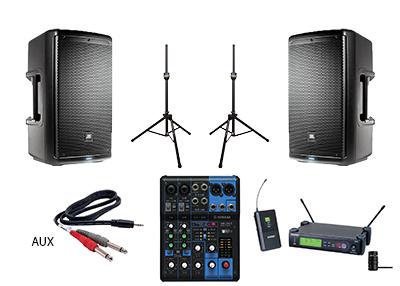 Our standard package is our most popular wedding audio equipment rental available, so we recommend going with that one if you are unsure as it has proven time and again to be an all-around great package with our clients. Feel free to give us a call at (913) 730-7319 or email us at info@audiorentkc.com if you have any questions about our incredible wedding audio equipment rental packages!